THE BEAST IS BACK! Echo Sound Works is proud to present the latest instalment in this best selling series. MBV2 comes loaded with 150 Massive presets geared for EDM. The pack contains sounds for genres like Progressive, House, Electro, Dubstep, Melbourne, Trap and even Garage/Deep House. Refresh your Massive library with a soundset that covers almost every popular genre of EDM. We also included a bunch of bonus items heard in the demo (Check them out via the comments in the demo). Set to become amongst the Best Massive Presets of 2014, these will be your new go to sounds in Massive! Check out the demo to hear what Massive Beast V.2 is capable of. 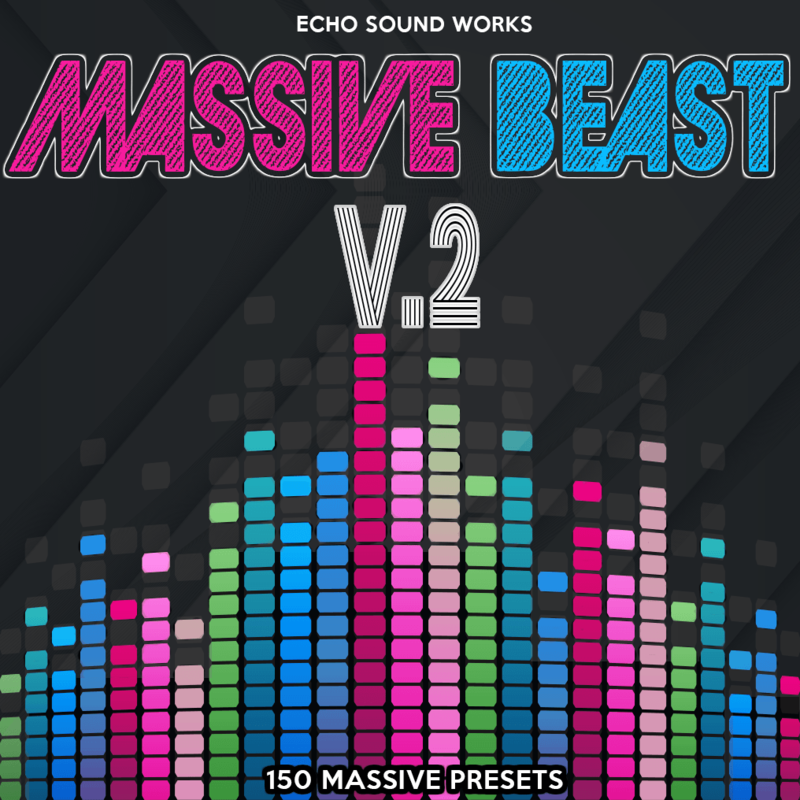 Try a demo – Download 12 Sounds From Massive Beast V.2 for Free! Check out the YouTube video demo to see what presets were used in the demo tracks!